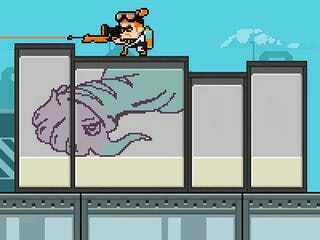 Pixel artist Jonroru made his own giffy version of Splatoon. Pixel artist Jonroru made his own giffy version of Splatoon. This one looks like a SNES platformer or something for handhelds and not a Wii U game. The gameplay probably wouldn’t make sense in 2D. But it looks good!